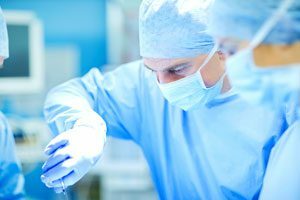 The ESGO certification for advanced ovarian cancer surgery is an award attributed to institutions, which can offer patients the specific skills, experience, organization, and dedication that are required to achieve optimal levels of surgical care. The ESGO certification is based on the completion of 10 quality indicators and a scoring system that has been designed and internally validated within the International Expert Panel. 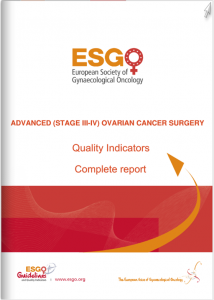 Complete and meet the ESGO quality indicators. Perform a minimum of ≥24 cytoreductive surgeries for advanced epithelial ovarian cancer per year and minimum 12 primary debulking surgeries yearly (secondary and tertiary surgeries for recurrences are not included). Please note that diagnostic and palliative surgery, recurrences, borderline tumors, non epithelial tumors, and stage I-II epithelial ovarian cancer are not taken into account. 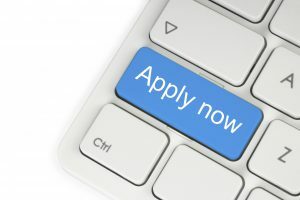 Only centres that meet the above requirements can start the application process for the ESGO certification by filling out the Application and Self-assessment forms, along with the corresponding marks of the scoring system*. * Quantitative data requires documentation of the data to be available, for example in a database. 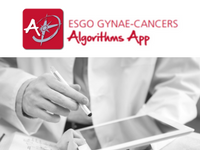 Interested to apply for the ESGO certification in advanced ovarian cancer surgery? 1. Make sure that the number of advanced ovarian cancers operated during the last three calendar years is ≥24 per year. Also please make sure that the numer of primary debulking surgeries is ≥12 per year. Please note that diagnostic and palliative surgery, recurrences, borderline tumors, non epithelial tumors, and stage I-II epithelial ovarian cancer are not taken into account. An anonymised 3-year database including the above, plus pathology type and grade, FIGO stage and sub-stage, age, and performance status is mandatory. 4. Fill out the below application and the self-assessment forms with scoring. 5. Send the forms to the ESGO Guidelines Secretariat, along with the administrative fee and commitment to cover possible audit expenses. There is a nominal administrative fee of 500 EUR due from the applicant centre. Besides, a formal acceptance and commitment to fund up to 650 EUR (based on the travel expenses of the expert), a random full-day audit that might be necessary in exceptional cases. After checking, the application is submitted to a jury (3 members, rotating every 2 years) outside the country of applicant institution. 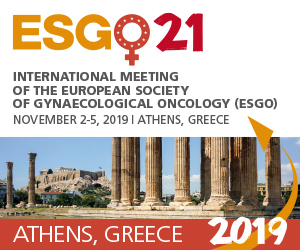 As the maximum score is 40, centers meeting 80% (score 32) of the maximum score are proposed for certification to the ESGO Guidelines, Quality Assurance and Recommendations Committee then the ESGO Council, which makes the final decision. Certification is valid for 5 years, subject to renewal as a result of maintenance of the standards. Certified centers commit to provide every year an update of the above-mentioned figures. The process of renewal of certification is conditional to yearly transmission of the figures to the ESGO Guidelines Secretariat. In general, centers scoring less than 28 will be rejected. Centers with self-assessment score 32 or more, but with discordant information, or centers with 28-31 (between 70% and 80% of the maximum score) score can resubmit after at least one year. Some high volume and high quality certified centers can in addition apply for the «center of excellence» award. 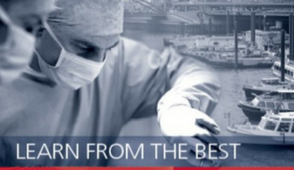 The role of centers of excellence is to highlight the ESGO quality assurance program, to offer education aimed at improving quality in non certified centers, and in provisionally certified centers, to offer complementary education to relatively low volume certified centers, and to set the basis for a European network of centers of excellence. They make the core of the certification jury. optionally, having a basic research program and a biobank facility. The founding centers of excellence are the centers represented within the International Development Group which meet the standard. After the creation of the jury made of the founding centers of excellence, later applications from certified centers will be reviewed by the jury. The award will be delivered by the Guidelines, Recommendations and Quality Assurance Committee of the ESGO. View the requirements and start the process by filling out the application and the self-assessment forms below.